The years can take their toll on your teeth and the overall appearance of your smile -- from uneven wear and tear and chipping, to severe staining. 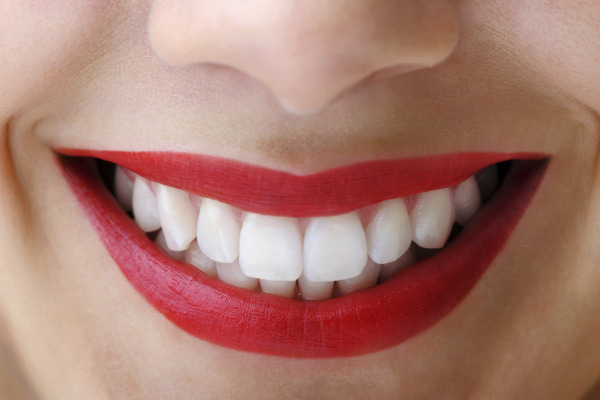 Oral health problems can be even further compounded when teeth are misaligned. If you are experiencing all of these issues and think that repairing your smile can take years and multiple dental procedures, Dr. Titi Dang at Pearly White Dental is here to help with quick and comfortable dental care. Getting porcelain veneers from her Huntington Beach dental office can take care of common aesthetic dental concerns to give you the smile you’ve always dreamed of. Dental veneers are thin coverings of porcelain that are placed over your natural teeth, so that your smile appears uniform in shape, as well as a brighter shade of white. If veneers are your recommended course of care, Dr. Dang will prepare your teeth for treatment by buffing down some enamel, so that your veneers can be perfectly situated and remain natural-looking. Molds of your teeth will be taken and sent to a trusted local dental lab, so your veneers can be specially created to fit your needs. During a follow-up visit, Dr. Dang will permanently bond the veneers to your teeth. The result is a smile that is instantly whiter, straighter, and free of chips and cracks. Treatment with porcelain veneers from. Dr. Dang’s Huntington Beach dental office effectively addresses multiple dental concerns with one procedure. Patients with mild tooth misalignment, severely stained teeth, or even damaged teeth can treat these concerns with braces, professional teeth whitening, and dental crowns – respectively– but for patients who are experiencing all of the above, porcelain veneers are able to address all of these issues in only a few visits to the dentist. • No pain or discomfort – The veneers process and treatment plan does not involve the use of injections, uncomfortable metal dental appliances, or materials that can cause sensitivity. • No special diets or care instructions – If you make sure to keep your teeth clean by daily brushing and flossing (and to avoid chewing on items that are bad for both tooth enamel and dental restorations, such as ice), your veneers can last a lifetime. Dr. Dang has over 15 years of experience in providing porcelain veneers for patients who are looking for a comfortable and effective way to address several aesthetic dental concerns in a hassle-free way. Pearly White Dental offers free consultations for porcelain veneers to help you determine if this treatment is right for you. Dr. Dang will also take before and after pictures at your initial and final appointments so you can see how drastically your smile has been transformed for the better. For more information on getting your dream smile with porcelain veneers in Huntington Beach, contact Pearly White Dental to set up your no-cost dental consultation.